Their story: Dating back to 1680, The Galley of Lorne Inn was a Drovers Inn, the first stop to market for farmers from the Isle of Jura who swam their cattle at low tide to get to the mainland. 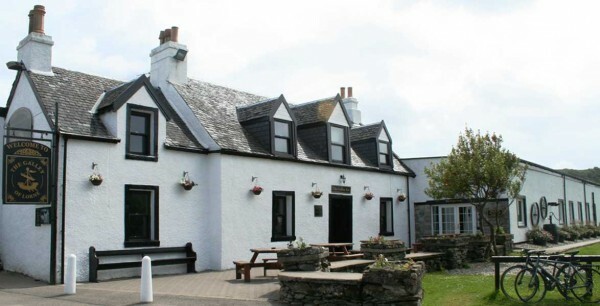 However, the Inn’s most colourful history dates from the 1960s when the Laird of Lunga, Colin Lindsay-MacDougall resurrected its standing as a hostelry. Has connections to George Orwell and looks out onto Loch Craigish where scenes from the 1960s Bond film From Russia with Love were filmed. Their accommodation: Aptly for the new initiative, the name of each of their rooms tells a story. Before coming to Ardfern to live, Scotland was only a holiday destination for the current owners, but it didn’t take long for them to fall in love with the country. As they were married on the Isle of Skye in May 2004, they named their largest suite after the island and naturally it is often used brides and grooms and honeymooners. Their deal: Enjoy 2 nights from £69.50pp B&B for two nights in July. Only a few July dates remaining, so book in quickly to avoid disappointment.